Can I set a billing email address for receipts? How you can setup who gets the receipts for Fulcrum. You can set up a custom address to which to send subscription billing activity, including receipts and invoices for your payments. You can include multiple email addresses here if you have additional billing managers or others that would like to receive the invoice receipts. 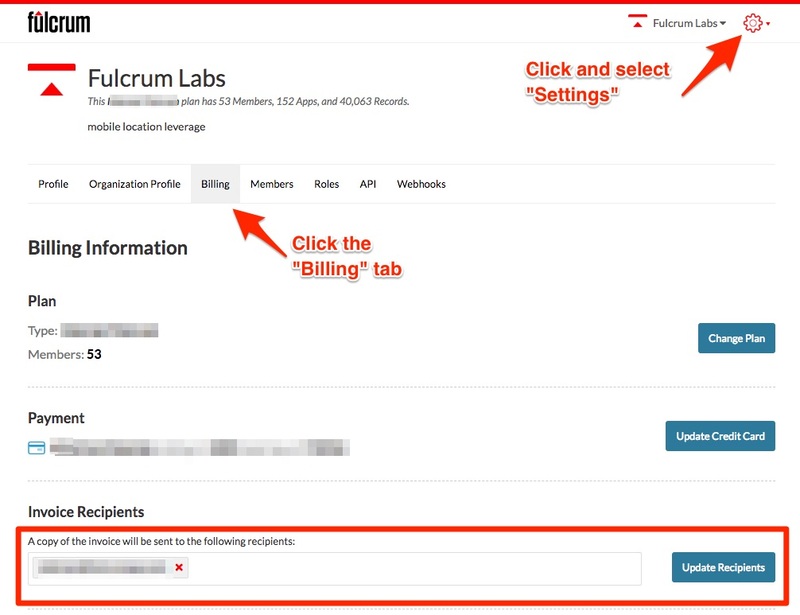 Go to the Settings page on the Fulcrum web app. Then enter in the email addresses into the Invoice Recipients field to the email addresses you’d like to have invoice copies sent to.